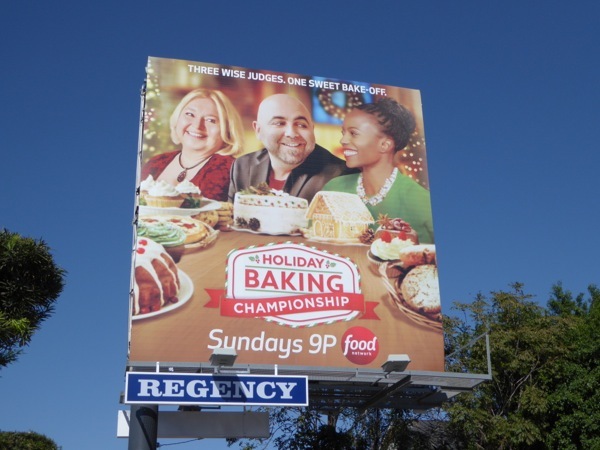 Happy Thanksgiving everyone and what better way to mark this annual food and family occasion than these season two Holiday Baking Championship billboards from the Food Network. 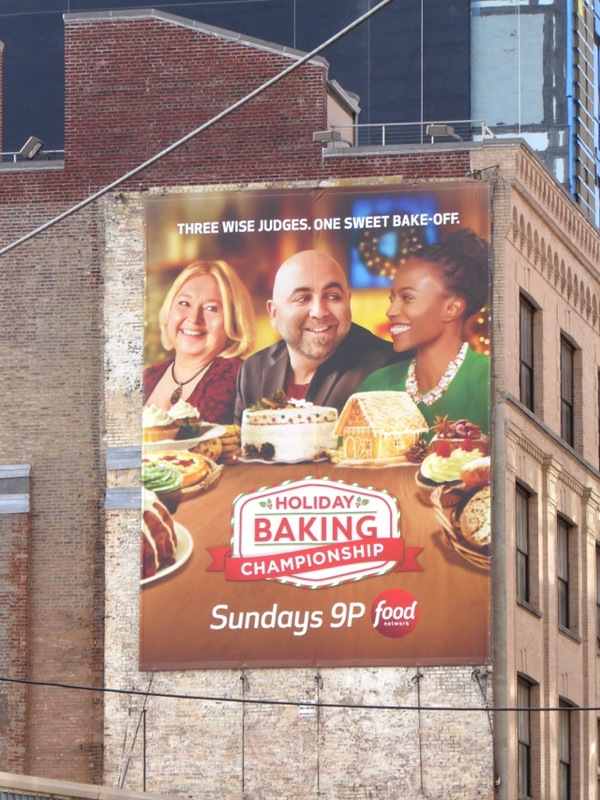 Foodie experts Nancy Fuller, Duff Goldman and Lorraine Pascale are back to judge ten new contestants all vying for a $50,000 prize and the title of Holiday Baking Champion. 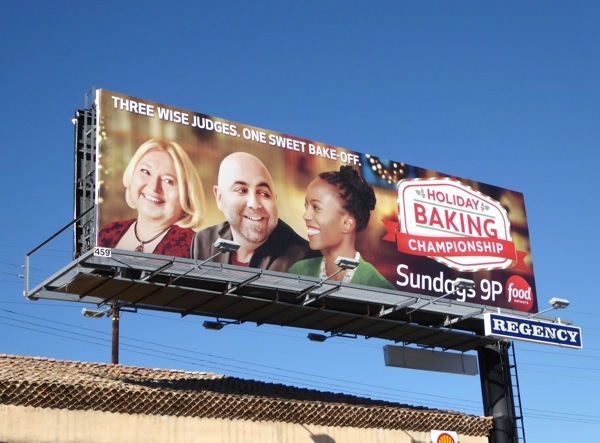 The Food Network aren't the only ones who understand the power of baking at this time of year either, as ABC will also be remaking the U.K.'s hit series, The Great British Bake Off, for American audiences as The Great Holiday Baking Show. It looks like great minds think alike. 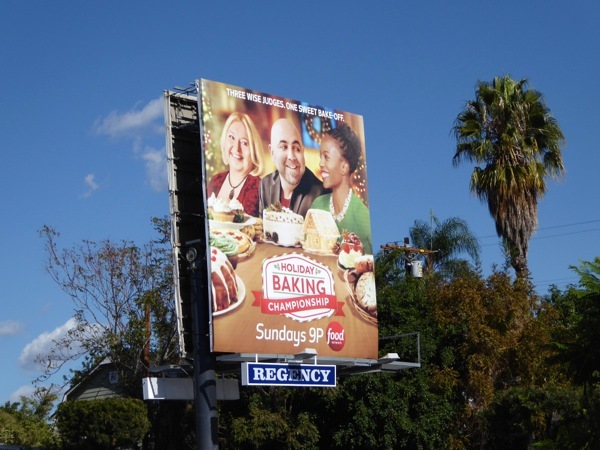 These sophomore season billboards for the Holiday Baking Championship were first snapped in L.A. along Fairfax Avenue and Beverly Boulevard on October 29, plus spotted at West 15th and 9th Avenue in New York City on October 31, 2015. 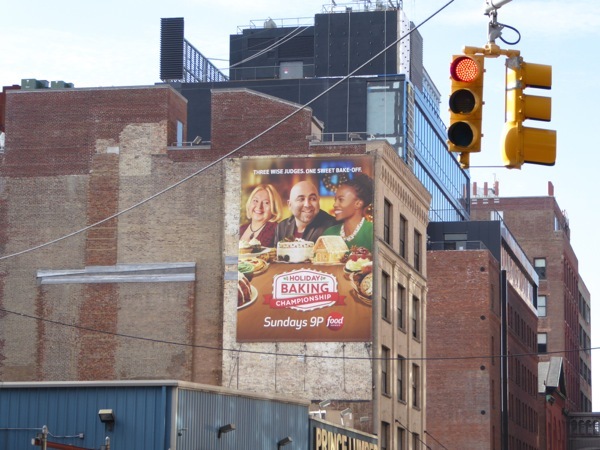 For more foodie billboards, be sure to check out these Top Chef billboards and also enjoy these Thanksgiving-themed billboards from last year to get you in the holiday spirit. 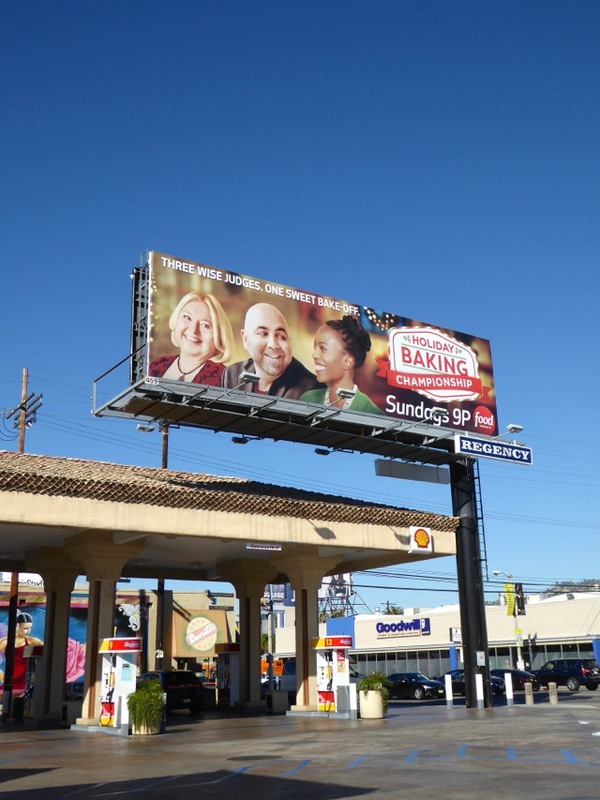 However you're celebrating Thanksgiving have a fantastic time, and if there's one day to indulge in pies, cakes, bread and cookies, it's today.